I’m a foodie and a gardener, and I love when I get the chance to combine the two. I grow a whole slew of fresh vegetables and herbs, and while the California heat decimated all the veggies except my jalapeno peppers, my herbs are growing strong. I have a lot of basil, several rosemary bushes, five lavender bushes and more mint than I will ever need. We love the flavors in our foods and beverages, and being a natural household, when possible, we try to grow things that we can use in non-food ways as well. Have you ever tried a cocktail with lavender syrup? Being a dog mom to two furbabies, we also work hard to ensure we feed them the best possible foods. They are both almost 12 years old, and both have special needs. Our Yorkie is blind and her only kidney is the early stages of renal failure. She is on a very limited diet, and sometimes she gets bored with her food. My son’s Labrador is a service dog who has osteoarthritis in his rear hips, and he’s skittish, so any little thing that gets him out of a routine — even something we see as minor, like a door opening near him while he’s eating — throws him off and we have to really tempt him to eat again. It can be expensive trying new things to see what works! Enter the Magical Butter machine. I was contacted about receiving a machine for free in order to share it with you, and I jumped on it. I make a lot of infusions on a regular basis, by hand, and they can be timely. A machine that does that for me, fast and easy? Sign me up! I’m also giving away one to one lucky person, so keep reading for details! I didn’t even know something like the Magical Butter existed, so I’ve got a long list of things I want to try. 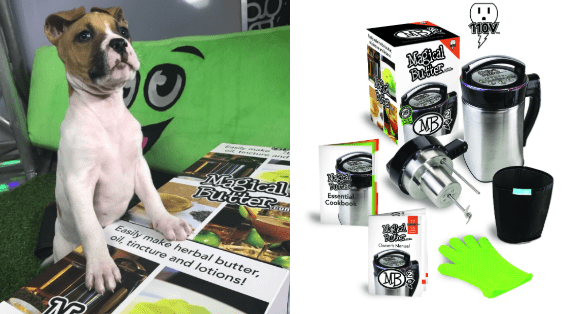 Infusing flavor into things that my family and the dogs can eat just got a lot more fun! What actually is a Magical Butter though? 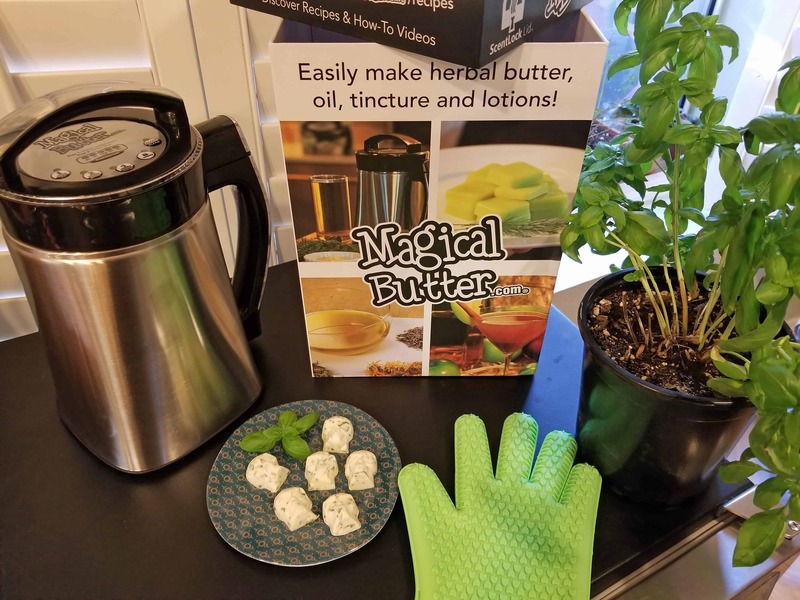 It’s the world’s first counter-top botanical extractor, designed to infuse healthy and flavorful herbs into butter, oil, grain alcohol, lotions and more, and it does it without fancy ingredients! The Magical Butter literally takes your ingredients and in a matter of hours, turns them into an emulsified or infused mixture, all basically at the push of a button! Put just the ingredients inside the canister, place the lid on the top, plug it in, and push the button that fits what you’re making. There’s even a clean option, so when you’re done, you drop in a small amount of liquid dish soap, pour in some water and in just a few minutes, it’s ready to be wiped dry and stored or used again! How exactly does it work though? 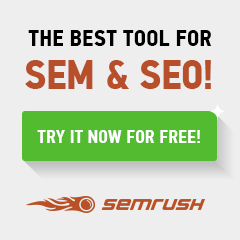 It combines a type of immersion blender, a digital thermometer and a heating unit. It grinds, heats, steeps and stirs, so you get a finished product when it turns off. Look at some of these fun recipes you can make with it! I also made this nifty butter in the photos below. For the Dangerous Cupcake Lifestyle site, we can’t just use any regular molds, right? 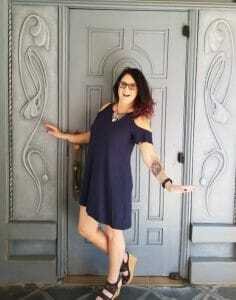 I pulled out my skulls. It’s a nod to Halloween coming and it’s just a fun addition to our dinner table. These are really simple and while it can be made by hand, the flavor infused by using the Magical Butter machine is much more enhanced than mixing by hand. In short, I added a stick of butter, 1/4 cup fresh basil from my window garden, and 1/4 tbsp of lecithin. (There are recipes that do not require lecithin, but you can order it ahead of time on Amazon.) Using the two-hour method, I had this beautiful, smooth and tasty butter. Aren’t they cute? The family got a kick out of them for the homemade dinner rolls we served. 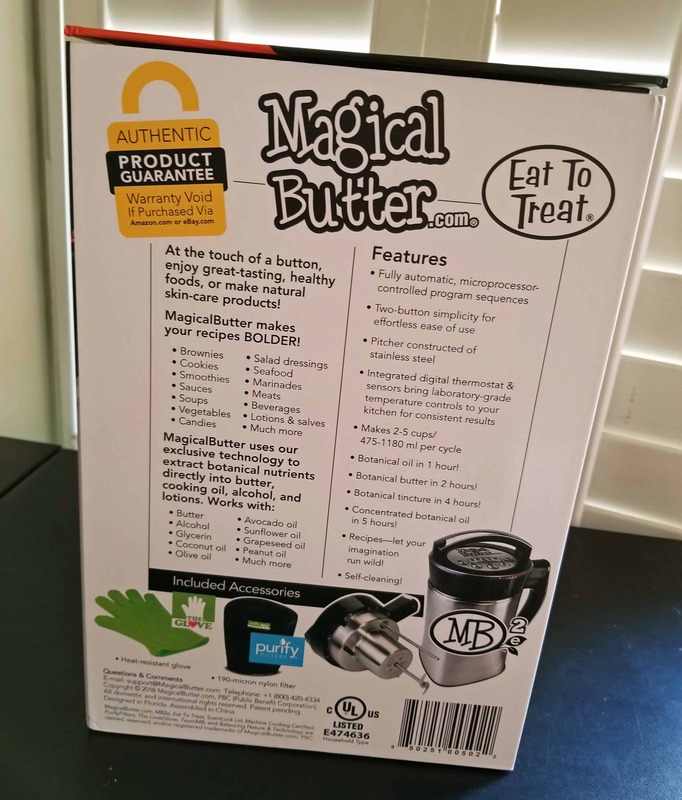 The Magical Butter machine is a fun addition to my kitchen. The footprint is small so it easily goes into my appliance pantry in between uses. It sells for $175 online, and there are deals where you can get some freebies, too. The website is full of resources, including this long list of herbs, their uses and contraindications. I have the MB2e version, which makes from 2-5 cups per use. It does make some noise, but it’s not incredibly loud and the fun multi-colored digital lights make it kind of fun to watch! You can also buy molds, a filter, etc., on the website, but I used molds I already had on hand. The butter stick mold is one I do need to buy! If you’re interested in winning one yourself, so you can infuse your food with new flavor, enter my giveaway below! Entry is simple and I offer a few options. Rules: one winner per household, winner must be at least 18 years of age and reside in the United States and there is no purchase necessary. Void where prohibited by law. Prize will be fulfilled by the Magical Butter company directly, so winner must supply shipping information within 48 hours of email notification; if not, winner will forfeit prize and we will select another winner. Dangerous Cupcake Lifestyle is not responsible for prize shipment, so your contact information will be shared with Magical Butter, including your full name. 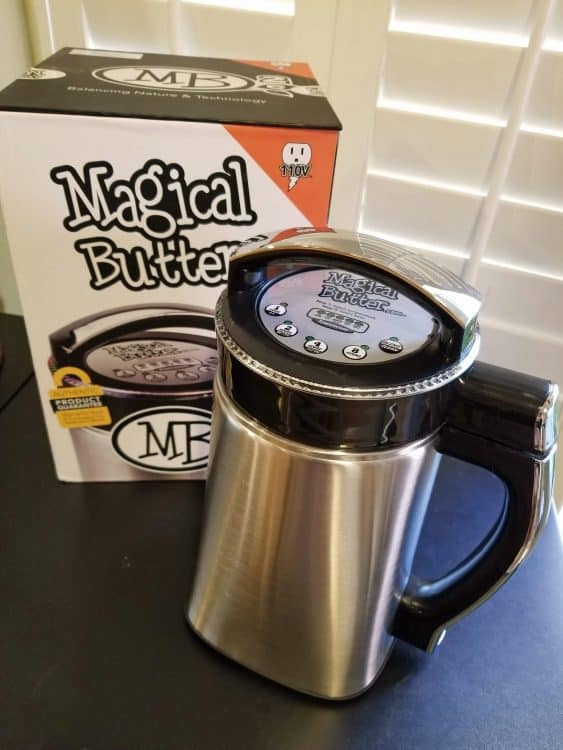 If you have a Magical Butter machine already, I’d love to hear what you do with it! Wow I had NO idea something like this exists. I’d make compound butter and infused oils and I’d play with so many things. It looks awesome. 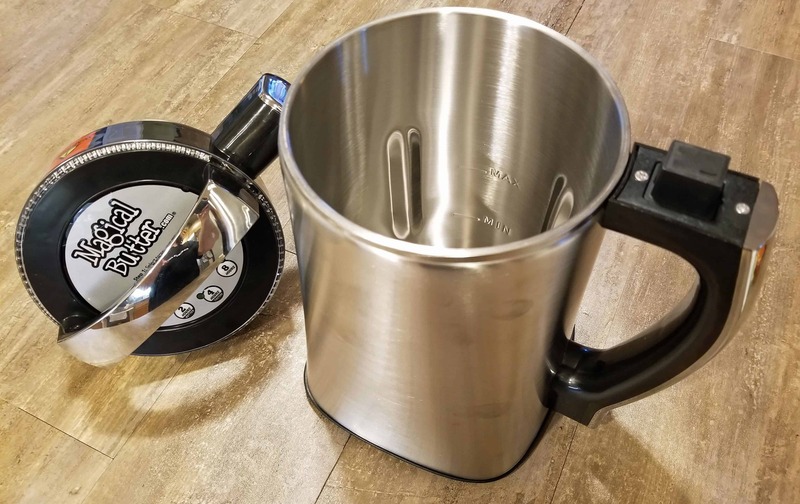 OMG I bet this would be perfect for making keto fat bombs!!! 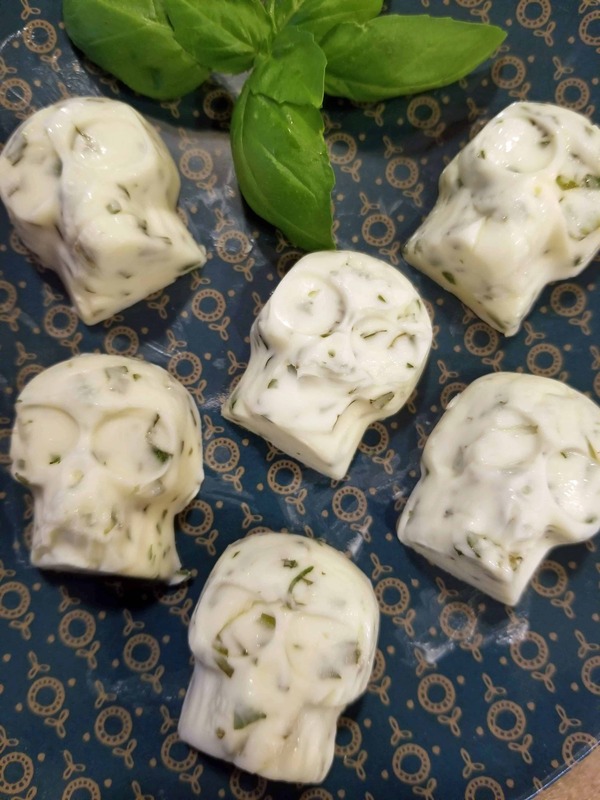 I would love to make different types of herb butter and the like. I have a wonderful steak butter recipe used in Switzerland at a Bed & Breakfast. I’m not even sure. I didn’t know anything like this existed, but it sounds really fun! I’d probably just start with some fancy butter and go from there. I would create a salve with coffee and safflower oil. I want to make herb butter with it.